In a scene from the not-too-distant future, a young woman in Beijing points her smartphone at a QR code stuck to a packet of beef from Argentina. She finds out that it’s produced from cows who enjoy the shade of forested space. Experts say silvopastoral farming – a method that combines forestry, forage plants and livestock – has a range of benefits in addition to animal welfare, including healthier soils and fewer greenhouse gas emissions. 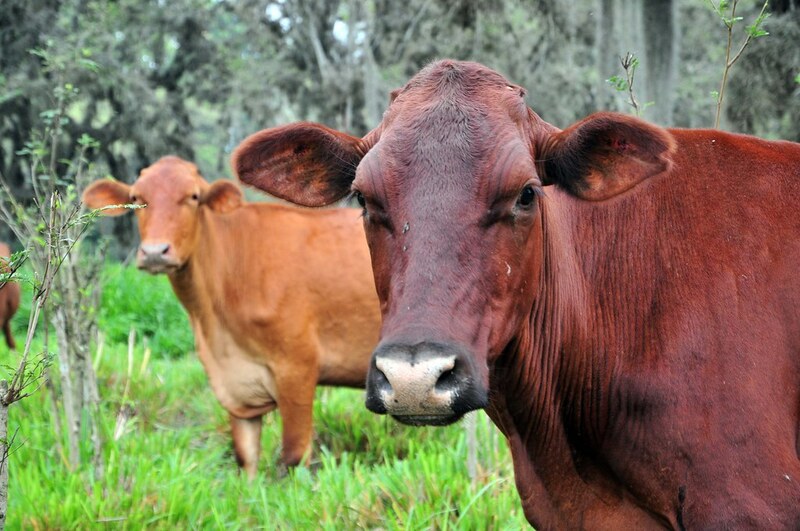 Its two varieties involve rearing cattle either in pre-existing native forests or in newly-planted ones. “It is a very good environmental, economic and social system,” said Pedro Botta, an agronomist from the ministry of agribusiness in Buenos Aires province, where silvopastoral farming is gaining ground on small islands surrounded by the brown waters of the Paraná de Las Palmas River. Native forest silvopasture extends across an estimated seven million hectares of Argentina, mostly in the northern Chaco region and in Patagonia to the south. As for planted silvopastoral forests, there are an estimated 150,000 hectares, mainly in the regions of Corrientes, Buenos Aires, Misiones and Neuquén. Argentina’s National Institute of Agricultural Technology (INTA) is experimenting with a silvopastoral project that expressly promotes animal well-being, according to INTA engineer Edgardo Casaubón. One farm combines forestry, beef farming and beekeeping. Another quality of silvopastoral agriculture is its low use of pesticides compared to other forms of livestock rearing. Pesticides are used to maintain the quality of the pasture cows feed on. Argentina uses more than 300 million litres of agrochemicals per year, nearly nine times more than the 34 million used in 1990. The expansion of silvopasture could help reduce this. The shade that trees offer in silvopastoral systems also changes the composition of the grassland and allows cows to thrive, Botta said. Trees also help avoid soil erosion, according to Patricia Cornaglia, an expert on silvopastoral systems at the University of Buenos Aires’ faculty of agronomy. “At the correct distance [they] allow the growth of natural pastures and an undergrowth that serves as a refuge for wildlife,” she said. Cattle farming is one of the main sources of global greenhouse gas emissions, largely because livestock emits methane and nitrous oxide. In Argentina, it is responsible for around 25% of emissions, according to the government. Cornaglia said that in silvopastoral systems, trees absorb part of the emissions from livestock and could therefore help Argentina reduce its emissions and meet its climate commitments. Silvopastoral systems could even lead to the production of what its supporters call “carbon-neutral meat”. Producers calculate livestocks’ annual emissions of methane and nitrous oxide – more potent gases in terms of their planet-warming effects – and work out an equivalent value in terms of carbon dioxide (CO2). Each gramme of nitrous oxide emitted by cows is worth 300 grammes of CO2, while each gramme of methane equates to 25 grammes of C02. Such a product would appeal to international markets such as China, where many consumers care increasingly about the climate and environmental impacts of food. “Cattle fattened by grass are valued because they have no added hormones,” Cornaglia said, adding that other means of fattening cows, such as with genetically modified soybeans, are less desirable. Argentina exported a total of 550,503 tonnes of beef in 2018, of which 207,000 tonnes were destined for China. The second largest importer was Russia, which bought 42,380 tonnes. Together, the two countries account for two thirds of exports. China’s beef consumption has grown by around 30% in the past nine years, driven by demand from the growing middle classes, dietary changes and international marketing efforts by Argentina. According to Ernesto Fernández Taboada, executive director of the China-Argentina Chamber of Commerce, Argentina has an opportunity to export carbon-neutral meat with silvopastoral certification. “As long as Argentina can spread the message that part of its production has that certification, it may be of interest to a sector of Chinese consumers who want to consume healthy products. We very much welcome this,” he said. Despite its benefits, some Argentine environmental organisations have questioned the development of silvopastoral systems. Vida Silvestre advocates a silvopastoral system called Forest Management with Integrated Livestock, which according to Preliasco benefits native forest, conserves biodiversity and maintains ecosystem services, whilst producing meat of a higher quality.